Each Nassi user can designate its current state to indicate its current status and/or availability. 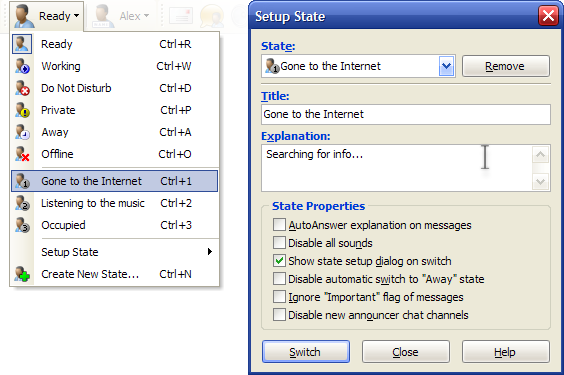 Network Assistant has six standard user states (Ready, Working, Do Not Disturb, Private, Away and Offline) and you can define up to six custom states. Each state has its name (standard states have constant names and you can not change them), description and several flags that define behavior of Nassi when you are in that state. Network Assistant has the powerful "Remote Alerts" feature. 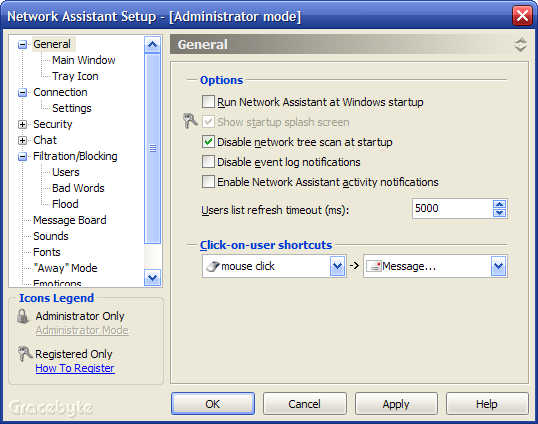 You can install alerts for some remote events for a particular workstation. An installed alert will be risen by remote computer when alert-specific predefined condition becomes true. 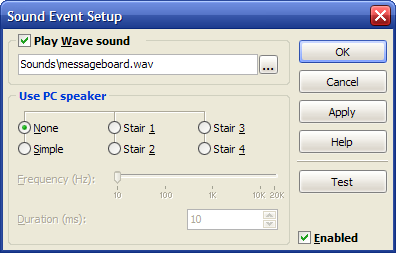 When alert has been risen some actions may take place, for example, message box appears and/or signal sounds. Network Assistant support file transfers between users. 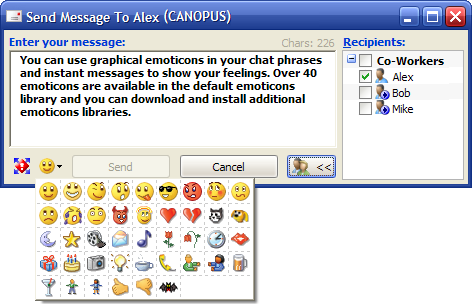 You can easily send and receive files. You can even resume file transfers. Network Assistant has the great feature of remote registration and unregistration. 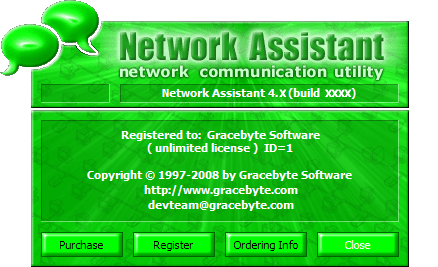 With help of License Manager a network administrator can quickly manage Network Assistant licenses within network. For example, it is possible to register all Nassi-enabled network computers with single registration code from one computer with several mouse clicks in several seconds. This feature is especially useful for administrators of big networks. Here you can specify all major settings. This is Network Assistant about dialog.